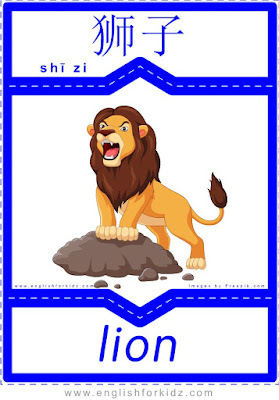 English-Chinese Flashcards: Wild Animals. Part 3. 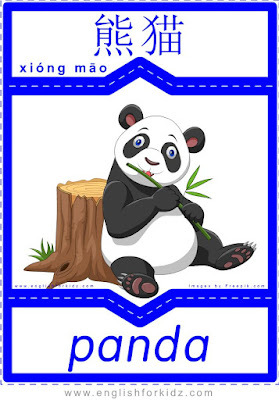 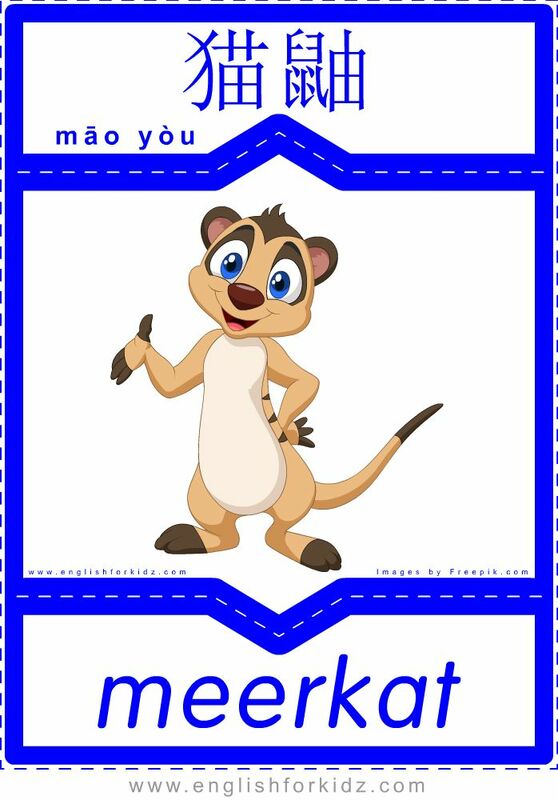 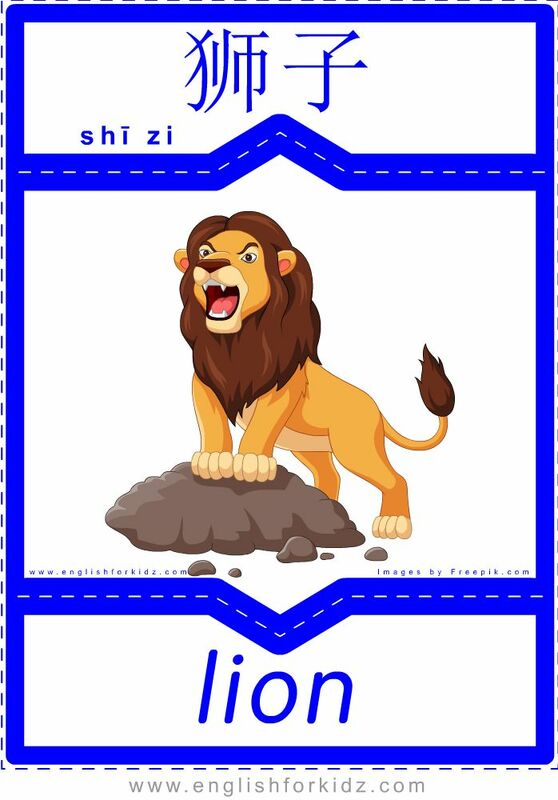 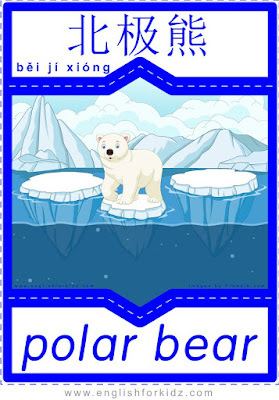 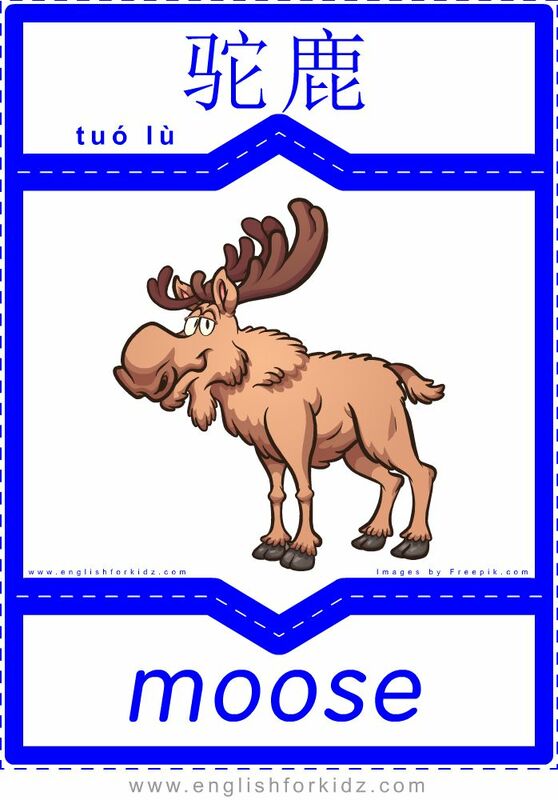 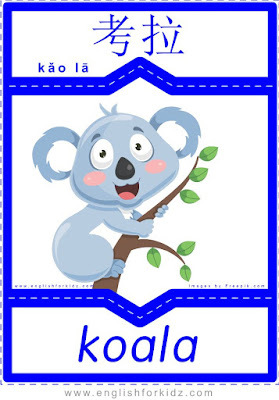 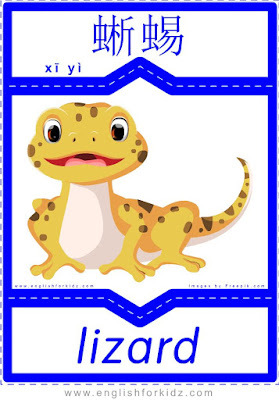 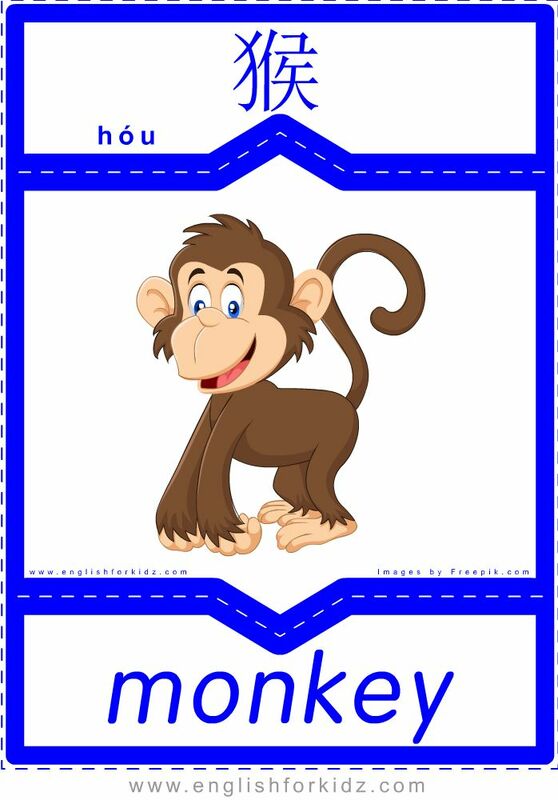 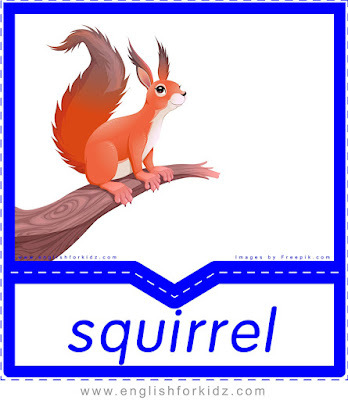 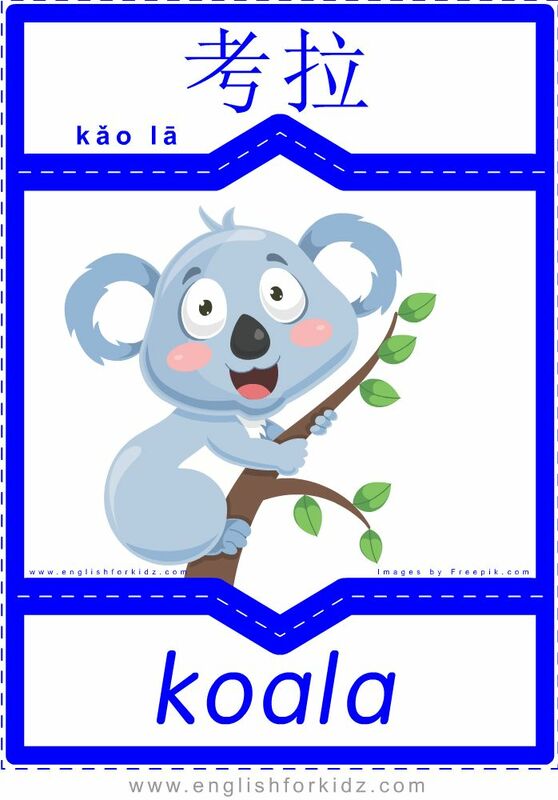 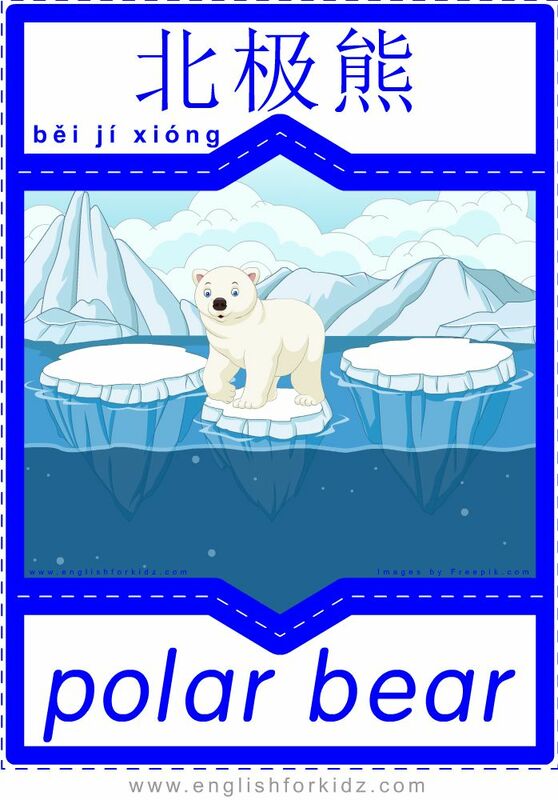 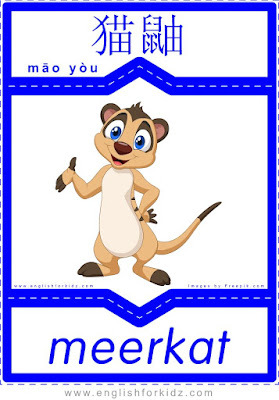 I keep on publishing printable English-Chinese flashcards featuring wild animals. 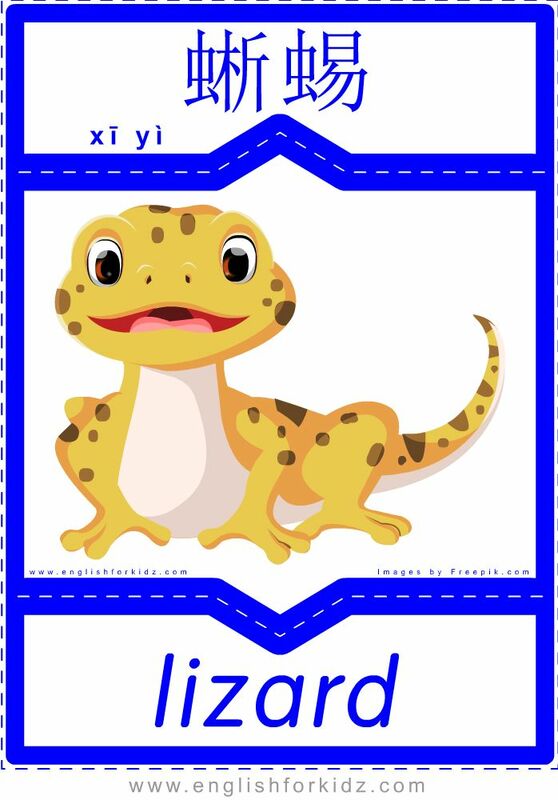 This blog post offers another 10 animal flashcards for ESL and EFL teachers teaching English to Chinese speakers or those teaching Chinese to English speakers. 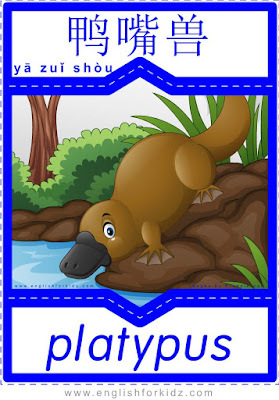 As I have already written in my earlier publications, my entire collection of English-Chinese flashcards has more than 700 colorful cards that incorporate pictures and corresponding words in English and Simplified Chinese including the pinyin transcription of the Chinese vocabulary. 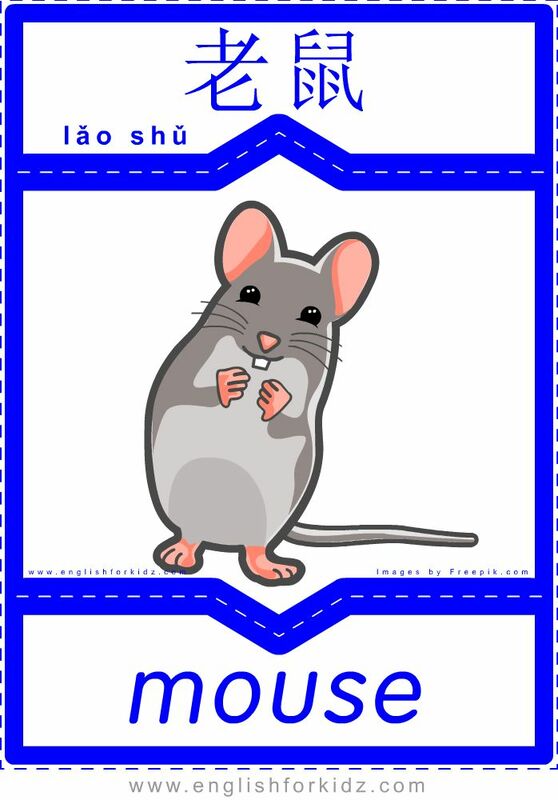 Some of flashcards have already been published on this blog and the whole collection covering 16 topics is available for purchase in a printer-friendly PDF version.